I’m the first to admit my training through the winter has been a little lackluster. I’m a coach and pacer for my running club’s marathon training program, and I’ll be a pacer for the Oakland Marathon, but I’m not thinking about that as a target race to focus on. I’m on the wait list for a 50k in April. While I’ve been training for it, my heart hasn’t been 100% in that either since I don’t know if it will happen. I Was Only Going For A Running Skirt! Last weekend, I went to a warehouse sale for NorCal Ultras and RYP Wear Skirts. Ryp Wear makes my favorite trail skirts, and they were going to be selling them for super cheap. 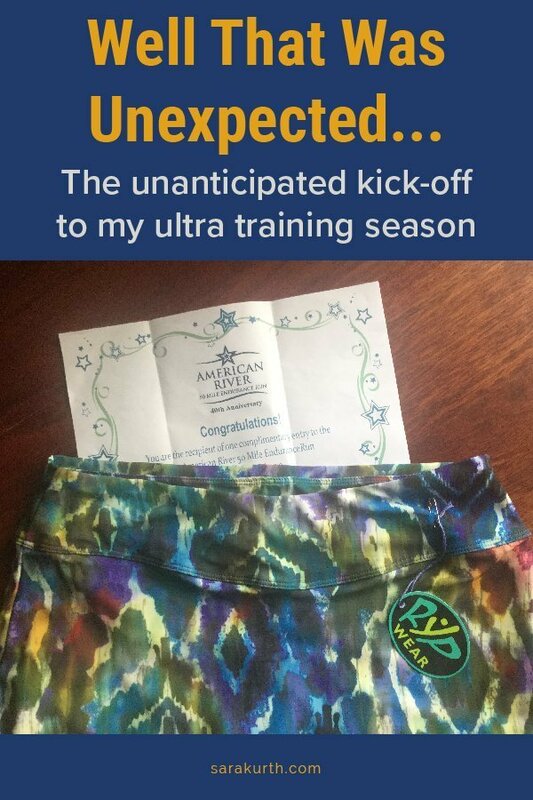 They are owned by NorCal Ultra who organize some of Northern California’s premier ultra races – Way Too Cool, American River, Rio Del Lago. They were also going to have food, beer, raffle prizes. Worth a road trip just for the skirt and a beer. I get there and am in the little pop-up changing tent trying on my new skirt when they call out the most recent raffle winner. I didn’t hear what they were raffling, but I was paying enough attention to realize I’d won… something. 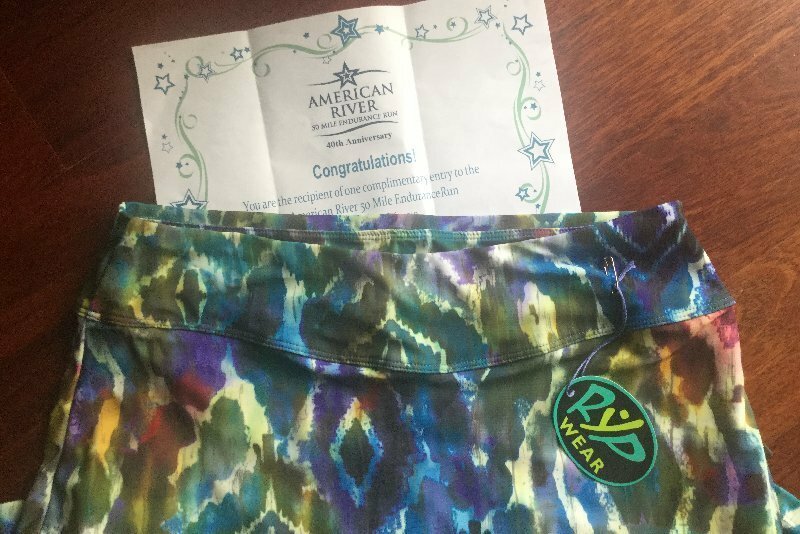 Turns out I won a free entry into the American River 50 Miler. One of the most famous and classic 50 mile races in the country. Did I mention the race is in two months and the entry is non-transferrable and non-deferrable? Either I try to run 50 miles in 2 months or I won for nothing but the glory of winning. I’ve never had any particular interest in running 50 miles. Not that I don’t want to, it just had never really occurred to me to try. Enter, do what I can, and DNF (did not finish). I posted on Facebook both to my IRL friends, and in a few trail running groups I belong to asking for feedback: should I ignore it or register knowing I’ll DNF? The almost universal response was: Why are you so sure you’d DNF? Who says you can’t do it? Before this overwhelmingly positive response, it had honestly never occurred to me to consider the option of my actually finishing. Gotta love having friends who not only don’t question your sanity, but actively encourage your insanity. I spent a few days considering what to do. Ignore it? Sign up? See if they’d let me enter the 25 mile option instead (which I could easily do)? I kept telling myself if only I could defer for a year. ‘Next year’ I’d be in a better place to do it. ‘Next year’ I could train properly. But who knows what tomorrow (or next year) might hold. Maybe I’ll be injured in a year, maybe something will come up in the next year that makes this race impossible. After a few days, I realized I couldn’t get the idea of trying for 50 miles out of my head. It in equal parts terrified and excited me. Always a good indication you should go for something. As both a coach and a runner, I know I should train properly. That audacious goals are good for the long term, but in the short term, goals should be realistic. But sometimes, you just need to throw caution to the wind. Say F**k It, I’m gonna do this. That said, I’m still not convinced I can do it. I’m a planner by nature and I’m flustered by not having a training plan in place. I haven’t been able to do the research on how to properly prepare for a 50 miler (and if I did, I’m sure the #1 thing is to prepare with more than 2 months lead time). But even if I try, and find out I can’t do it on race day, so what? It has happened to much better runners than I and they’ve all lived to tell the tale. I am good enough to try. There is glory in the trying. I’m going to recap my training, even though I’m not sure what my training is going to look like (yet). I don’t (yet) have training goals and I for sure don’t have race goals. Interestingly, at this point, I’m more aware of (concerned of?) the mental challenges than the physical ones- having confidence in myself, the worthiness of my winning the entry, that it’s even possible. So far, the only thing I know is that I need to have the same confidence in me that my friends seem to have. Stay tuned… this is going to get interesting.